Dr. Valdman graduated from NYU College of Dentistry with his Doctoral Degree in Dentistry and opened his first practice in Ridgewood, New York and also practiced as an associate in Manhattan, New York. During your child’s initial consultation, we will evaluate whether any problems such as an open bite, potential crowding or gummy smiles need to be addressed currently or in the future. If treatment is needed, Dr. Vadim Valdman will design a personalized treatment plan for your child. Happily, it’s never too late improve the aesthetics of your smile, and your oral health. Aside from affecting the beauty of your smile, crooked teeth, and a misaligned bite can also contribute to gum and bone loss, tooth decay and abnormal wear of the tooth enamel and surfaces, as well as headaches and TMJ (jaw joint) pain. 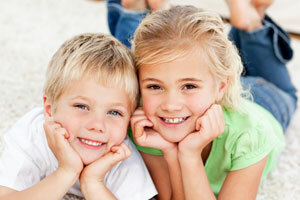 Traditional metal braces are the most common type of braces, especially for children. Recent improvements make metal braces more comfortable than they were previously, and your child has the option of customizing their smile with colored bands. Traditional braces are made with high-quality stainless steel and straighten teeth using metal brackets, wires, and rubber bands. Ceramic braces are made with clear materials, making them less noticeable than metal braces. For adults and older children who have concerns about the aesthetics of their smile during treatment, ceramic braces may be the appropriate option. However, they are larger than metal braces and require closer attention to oral hygiene. Ceramic braces are also more brittle than metal braces and are most frequently used on the upper arch.